As most inexperienced gamblers have learned, making money at a casino may not be the easiest thing to do regardless of the fact that you have come fully prepared with all your strategies. You need to be sensible and prudent when gambling to make sure you make money instead of losing it. The first rule as you enter the casino is to look for games which you understand and those which give you a statistical edge. For starters Blackjack may be the best game because it offers good odds. The odds may further depend on the amount of time you spent on each game. Always use a combination where you limit your bets and spread them across different games. However, that cannot be true for poker where you are up against other players rather than the house. The house will have the obvious advantage of collecting a certain percentage from every winning but if you are good at reading people, chances are that you will end up making money. If you are playing the slot machines, you need to follow a few simple rules. Make sure you don’t pick machines which have been tossing out money on a consistent basis. Paying machines lure new comers into betting big and consequently, losing big. 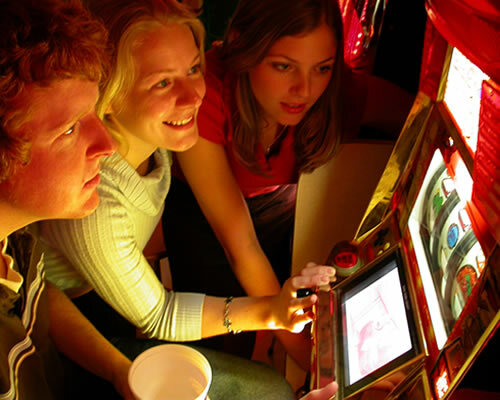 Also, as soon as you enter the casino, look for a machine which can be viewed by everyone. These usually hit, in order to encourage people to spend more. Also find a machine which has been used by others without any luck. This is the time when slot machines tend to throw money. Make sure that you are not the first person trying his or her luck out. Casino uses various techniques to put you off your game such as free drinks. With all the noise, and rush, focus can be hard to maintain. Don’t let these distractions get the better of you. Moreover, don’t drink too much, as it will cloud your judgement and force you to chase lost causes. If you are encountering such situations it is preferable that you leave the casino for while.